The Texas Medical Association is pushing measures this legislative session to help modernize medical practices, such as collecting or verifying patient data by swiping a driver's license. Health care providers in Texas could soon collect or verify patient information by swiping a driver’s license. The measure allowing such data collection is one of a handful that the Texas Medical Association is pushing this legislative session to help modernize medical practices. The association is also backing bills that would standardize preauthorization forms used by health plans for prescription drugs and health care services. “A lot of these things are easy fixes,” said Dr. Michael Speer, president of the Texas Medical Association. “It’s just a matter of getting enough people to come together and agree that it’s the right fix.” The association, which represents more than 47,000 physicians and medical students, asserts that time and money are wasted on bureaucracy, and that each physician spends nearly $83,000 a year on administrative costs. It donated more than $1.3 million to state candidates in 2011 and 2012. Medical practitioners must follow myriad procedures for billing private and public health plans. Many hire additional staff members to handle the paperwork, and simple errors can obstruct payment. “It’s an extremely inefficient business model,” said Dr. Bernard Swift Jr., chief executive of Texas MedClinic, a network of urgent-care facilities. Swift said Senate Bill 166, which is awaiting the governor’s signature, would eliminate repetitive paperwork by allowing licensed health care providers to collect accurate patient information from a driver’s license. Now, only hospitals in Texas are authorized to do so. Senate Bills 644 and 1216, which have been approved by the Senate and referred to a House committee, would standardize the preauthorization forms required for prescription drugs and health services. If health plans used the same or similar forms, it “could make a dramatic difference in the amount of manpower hours” spent on paperwork, said Rep. John Zerwas, R-Simonton. Zerwas, who is also an anesthesiologist, is sponsoring SB 644. Although insurance industry representatives originally opposed the preauthorization form bills, they support the revised versions of the legislation that would set up expert advisory councils at the Texas Department of Insurance to ensure that the state’s standardized forms match federal standards and allow for electronic transmission of the records. As physicians adapt their practices to the digital era, collecting accurate patient data — like that from a driver’s license — will help improve payment systems, ensure patient safety and prevent insurance fraud, said Nora Belcher, executive director of the Texas e-Health Alliance, an association of health technology stakeholders. 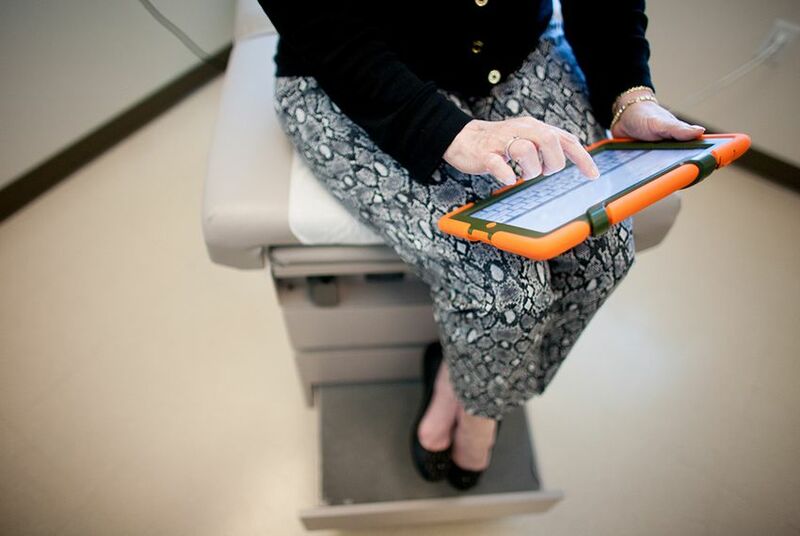 “What’s really best for the patient is complete data at the point of care,” Belcher said.